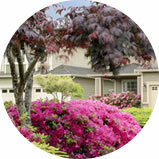 Let us create your perfect yard, no matter what your needs. Please select one of our services below to learn more. A lawn is more than just a collection of grass; it’s the first impression others get of your home, and a stunning yard can even increase your property value by up to 15%. Many insects can destroy your lawn, find crevices to sneak inside your home, or even pose health risks to your loved ones. Don’t let your property become a living space for unwanted critters. From lawn pest control to outdoor mosquito and tick control to preventing bugs like ants and centipedes from invading your home, Green Castle Lawn care and pest control has your back. Tree & Shrub Care from Green Castle Lawn Care and pest control is aimed at fertilizing and protecting trees, foundation plantings (plant beds and landscaping found around your home) to give you the best in tree and shrub care. No other service is likely to have as big an impact on the color and health of your lawn as proper fertilization – but it can be tough to get lawn fertilization just right. 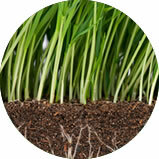 Depending on your lawn’s species of grass, soil quality, and your local growing conditions, your lawn will have a unique set of fertilization needs. With lawn fertilization services from Green Castle Lawn Care and pest control, your lawn will get all of the nutrients it needs to thrive. 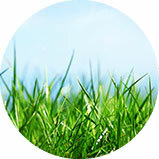 We always recommend aerating your lawn annually with any of our customized lawn care programs. 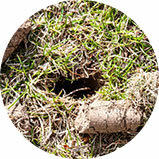 Regular aerating of your lawn will prevent unnecessary thatch or dead grass build up in your lawn. Aerating will also help with prevent water run off, especially with those lawns consisting of slopes and hills. 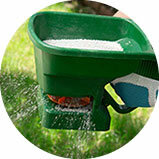 Aerating will also help water and nutrients penetrate your soil which in turn, will help your lawns overall needs. 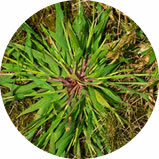 Dandelions and other broadleaf weeds are among the most troublesome turf pest problems in lawns. With lawn fertilization services from Green Castle Lawn Care and pest control, your lawn will get all of the nutrients it needs to thrive. I have been using Green Castle Lawn Care for over 10 years. I have always received excellent service and because of that my grass looks beautiful. I get compliments all the time about how nice it looks. I appreciate all they have done for us all these years!! Fabulous company to have maintaining the care of my lawn. Zach is very knowledgeable with the different chemicals needed to keep my lawn green and plush. Green Castle Lawn Care cares about my lawn as much as I do. Thank you for great service!!! Zach has my lawn looking beautiful!